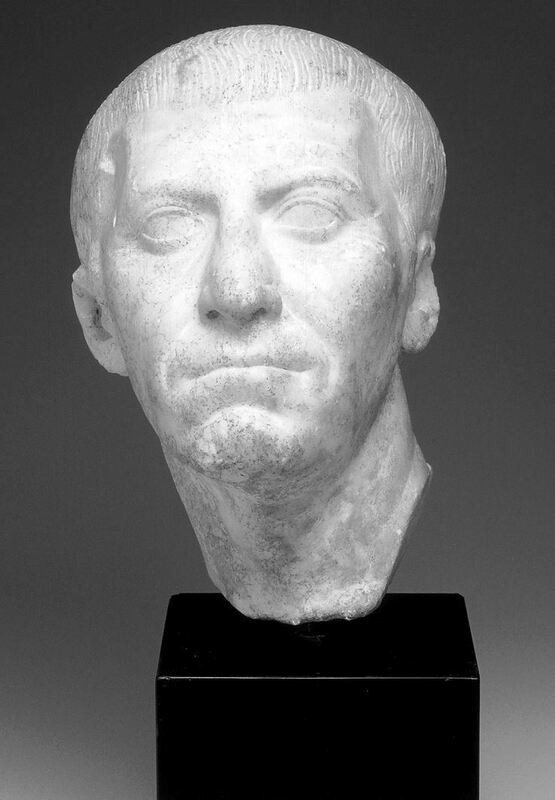 Caius Cassius Longinus was a Roman senator, a leading instigator of the plot to kill Julius Caesar, and the brother in-law of Marcus Junius Brutus. He commanded troops with Brutus during the Battle of Philippi against the combined forces of Mark Antony and Octavian, Caesar's former supporters, and committed suicide after being defeated by Mark Antony. He followed the teachings of the philosopher Epicurus, although scholars debate whether or not these beliefs affected his political life. Cassius is a main character in William Shakespeare's play Julius Caesar that depicts the assassination of Caesar and its aftermath.